Greetings! I’ve been busy making parts this past week. There have been so many things I’ve wanted to just dabble in – so that is exactly what I’ve been doing. How fun is that? 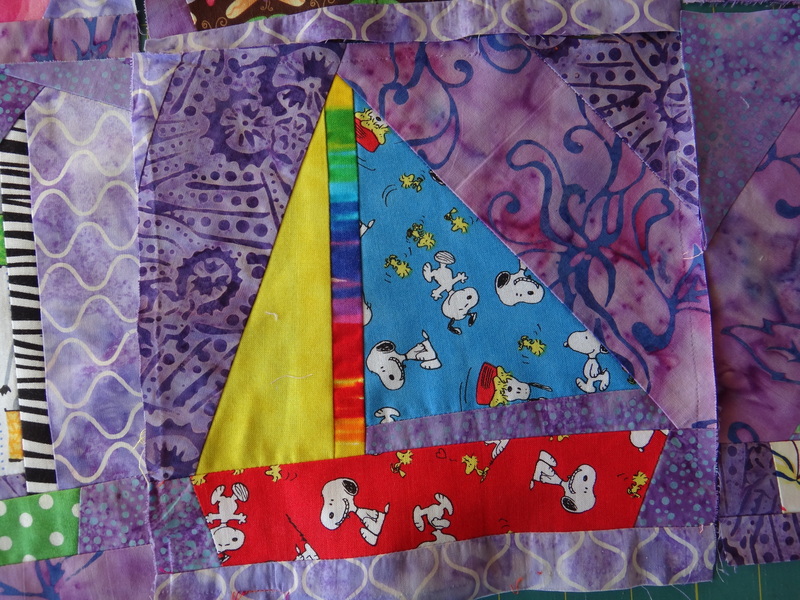 Here are two of the parts I’ve been working on – a fun star strata piece using an 8 1/2 inch triangle and then of course sailboats. 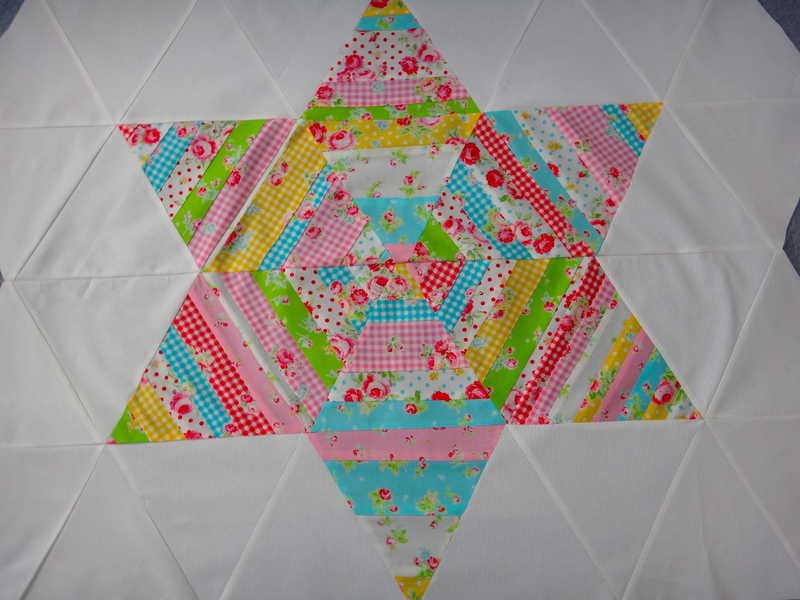 The fabric for the star strata is much prettier than the photo. The colors are just gorgeous and it reminds me of my Grandma’s aprons and sheets from many years ago. The sailboats are just for fun. I have no idea what I’ll do with those yet! Just always good to have some of those around. I love the Peanuts boat! Just for giggles – here are a couple of close up shots of our Christmas tree 🙂 We do love a busy tree! I love the star block and those happy sail boats are too cute. Your Christmas tree is wonderfully decorated. Thank you! I am thinking up ways to put them together where they don’t look like little boat soldiers all in a row 🙂 Have a great day! All your projects are great. And your tree looks like a lot of fun! Hi Karen – our nutty little tree is definitely a holiday favorite! Each year we add a couple more ornaments and then just giggle at how over-loaded it looks. Have a great day! I am still drooling over the angel you made with the ribbons. That is truly beautiful!! I love the sail boats! 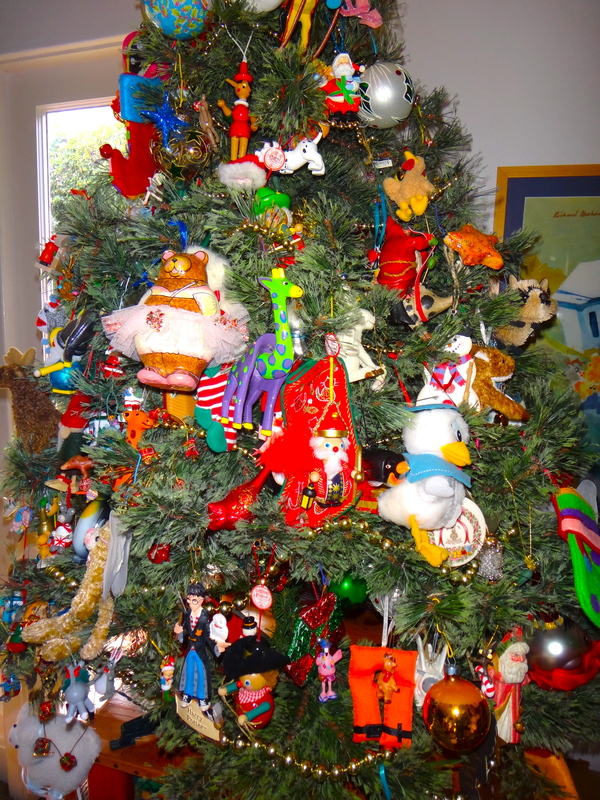 And I don’t think I’ve even seen stuffed animals on a Christmas tree — my grands would love that! Thank you 🙂 We always get such a chuckle out of our Christmas tree – we put everything except the kitchen sink on it! I love that star block! 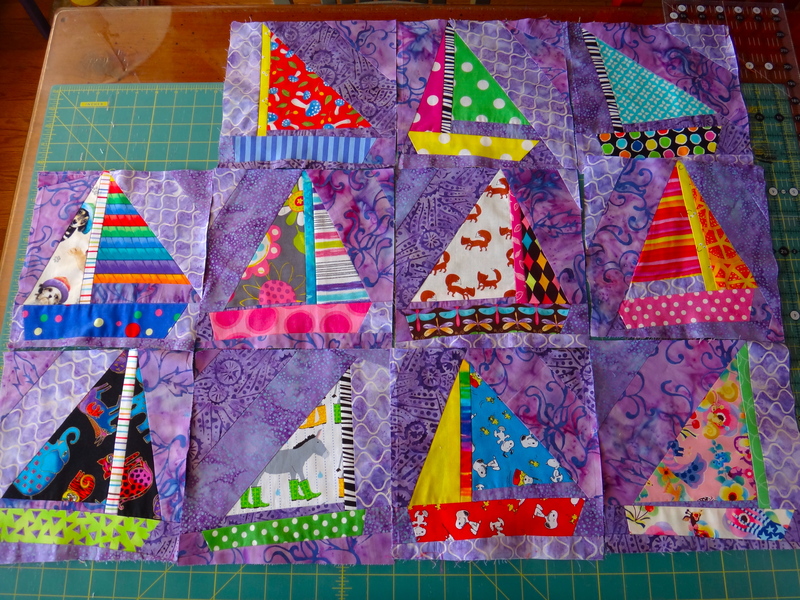 For my month in a virtual bee last summer I asked people to make strippy kaleidoscope blocks. This is another great use of a similar block! I’ll be pinning that to my Pinterest board. 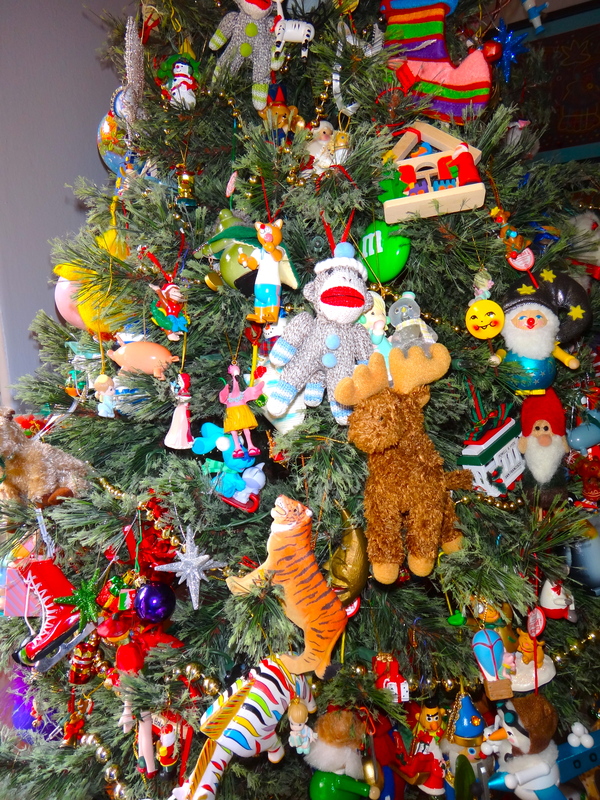 Love the sock monkey on your tree too. I made those for my no-so-little monkeys this past Christmas. Big hit!